Image: a view into the abyss from the top balcony. 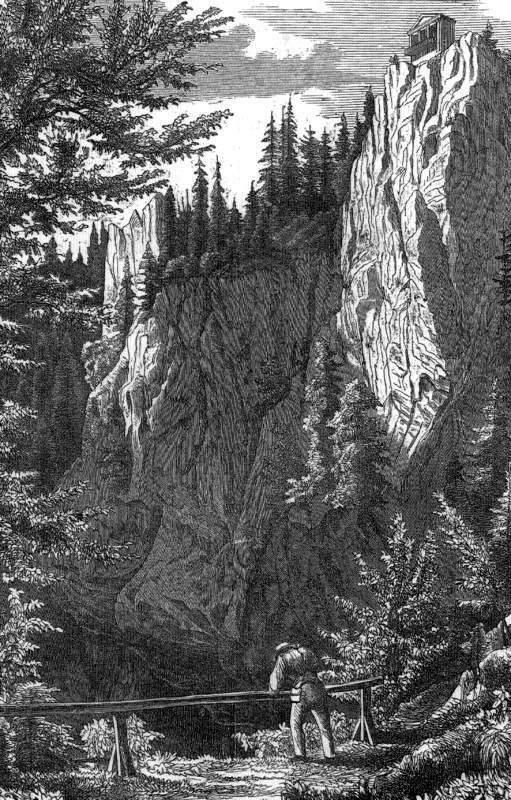 Location: North of Brünn. Near the Skalni mlyn Hotel in the Pusty zleb (deserted valley). 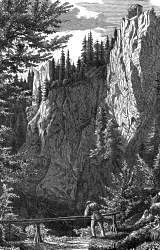 Image: an 18th century engraving of Macocha Abyss. 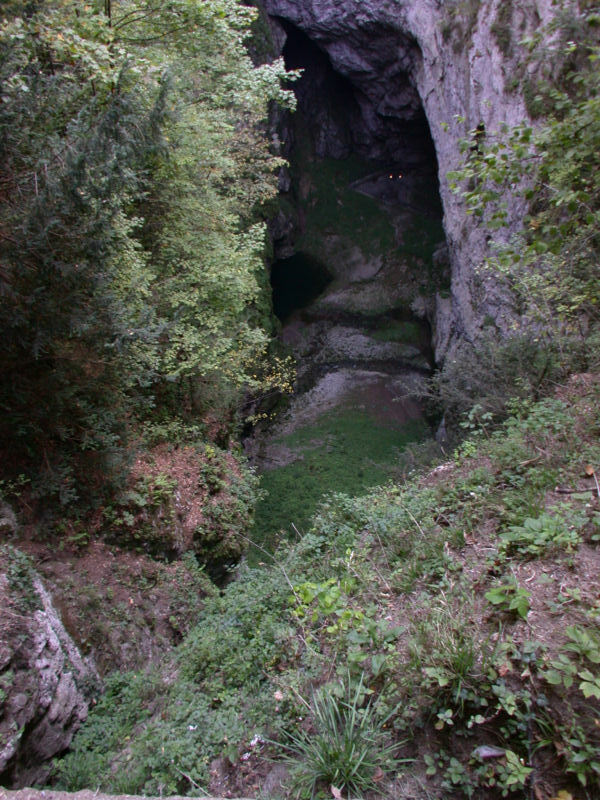 Propast Macocha (Macocha Abyss) is a huge doline, which is about 135m deep. Its rim is developed with a parking lot, two outlooks and some trails. 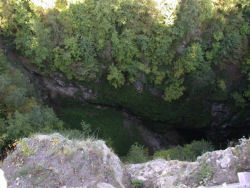 And as most tourists do not leave the well developed part of the rim, more adventurous visitors can see a less crowded corner of the abyss after a view steps. 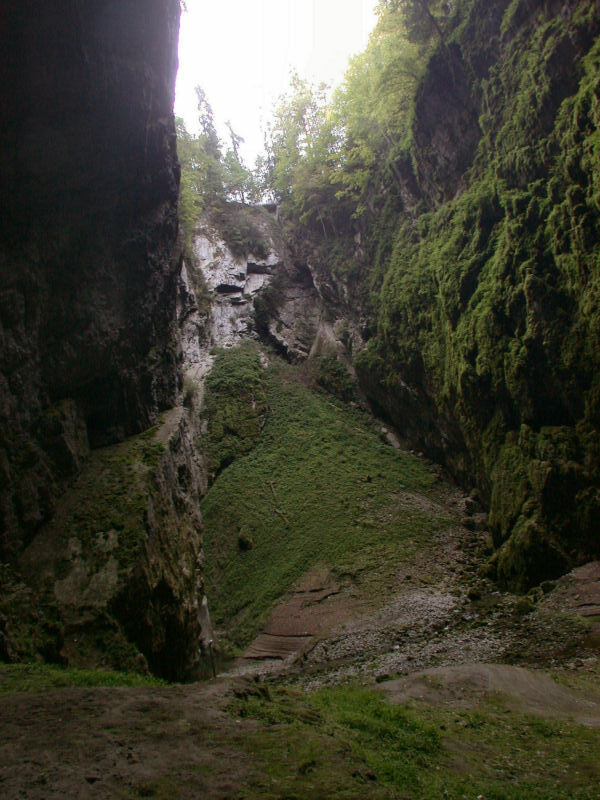 This doline is part of the cave system Punkevní jeskyně. The tour shows the abyss from the ground. 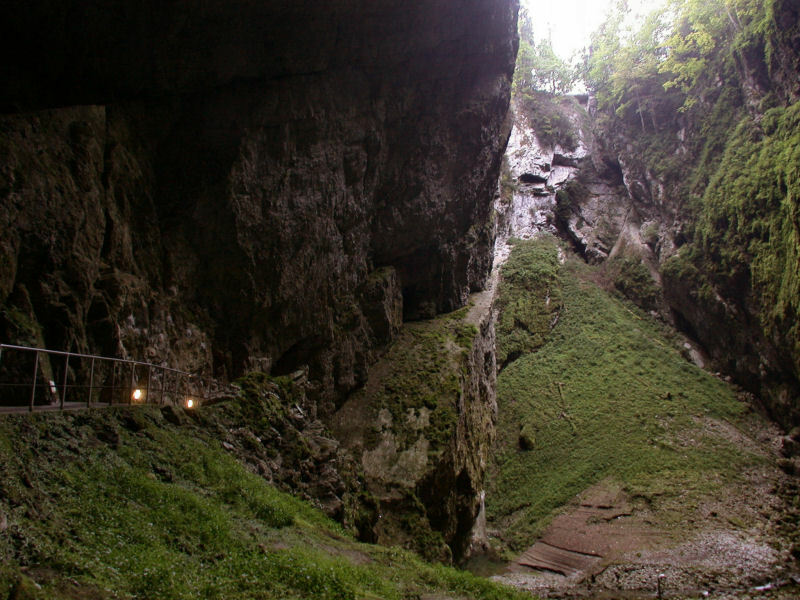 But the visit to the rim is also possible and has nothing to do with a cave visit. 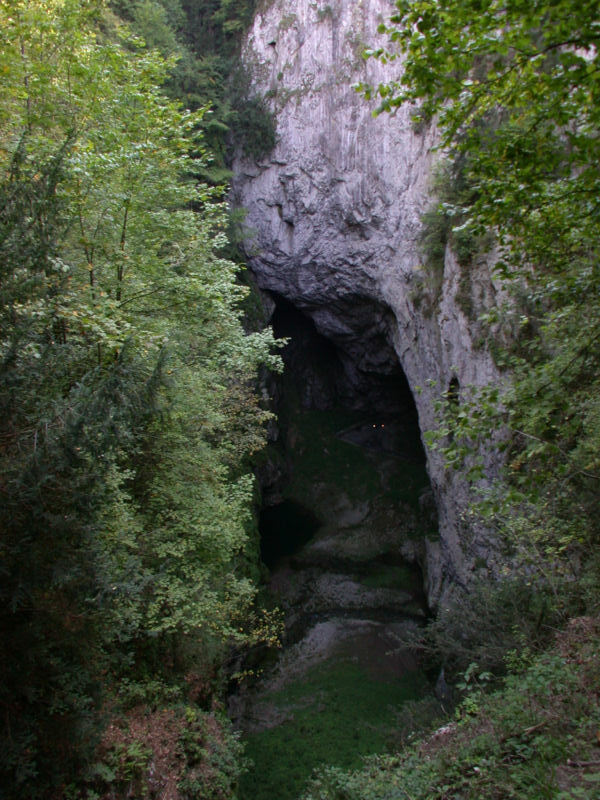 Visits to the doline are much older than the show cave. 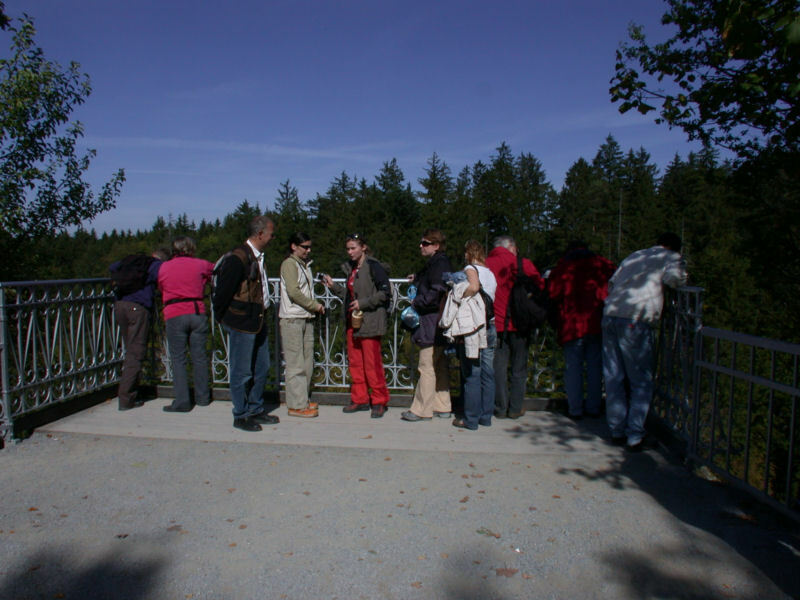 In the village of Vilemovice once lived a widower with his son. He married a second time and his little son got a step mother. In time, the woman gave birth to her own child and wanted to get rid of the stepson. She asked him to join her in collecting the fruits of the forest. As they came close to the very edge of the abyss, the woman threw her stepson down into the depth. However, the boy was spared from death by being caught on extending tree branches. Wood cutters, working nearby, heard the desperate cries, and saved the boy. 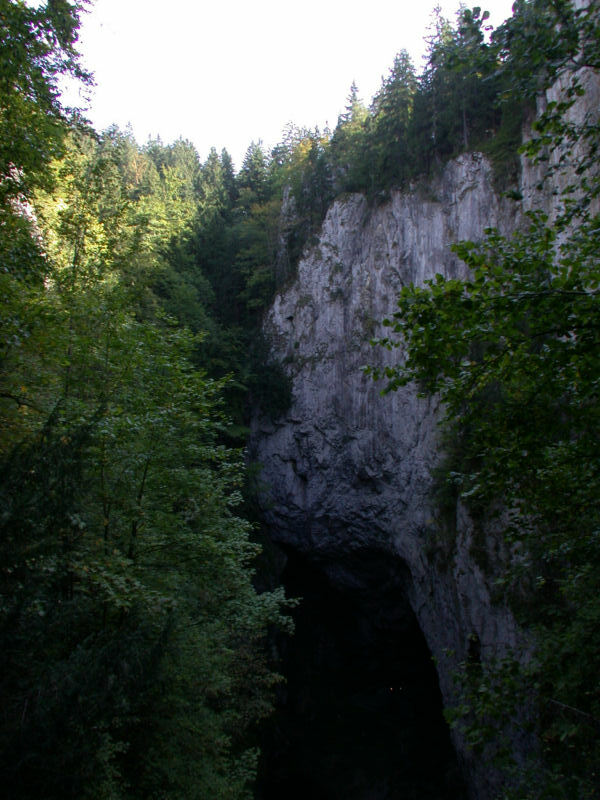 Upon hearing the tales of the wood cutters, the village people of Vilemovice threw the step mother over the abyss. Since that day the abyss has been called Macocha, the Czech word for stepmother. There are several similar versions of this story, another one is told on the Punkevní jeskyně page by Tony Oldham. Search Google for "Propast Macocha"